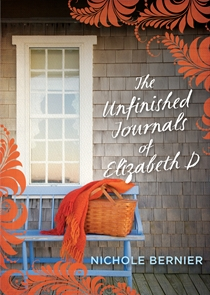 On Monday, we’ll start chatting about this month’s TBYL Book Club book, The Unfinished Journals of Elizabeth D by Nichole Bernier (Allen and Unwin). It’s a fairly quick read, so if you’ve got a little time over the weekend, it’s not too late to join in the discussion. You can join the conversation on the TBYL Book Club on Monday, 29 April 2013. For the May book club, I’d like to propose a theme, rather than a book… Stay tune for more information at the beginning of next month. Hope that you have a wonderful, bookish weekend!